A Phoenix Police Department helicopter made an unexpected landing at around midnight on Thursday. After encountering abnormal in-flight vibrations accompanied by a warning panel light, the pilot set down in a parking lot near 22nd Avenue and Lower Buckeye. At the time the precautionary landing was executed the aircraft was engaged in searching for a stolen vehicle. No one was hurt in the incident. RENTON, Wash. - One of the helicopters operated by the King County Sheriff's Office will be out of service for a while after an accident at the Renton Airport late Friday morning. The chopper, known as Guardian One, was taking off from the trailer used to wheel it in and out of the hangar, when it slipped somehow - a move described by KOMO AIR 4's pilot Gary Pfitzner as skateboarding - and the tail rotor struck the ground. Some debris from the rotor went flying, but no one was hurt. The helicopter, one of four operated by the department, is the only one equipped with an infrared camera used to track suspects on the ground. A US military helicopter (a VH-1N, a VIP military version of the Bell 212) made a precautionary emergency landing on a Virginia golf course on Wednesday morning. 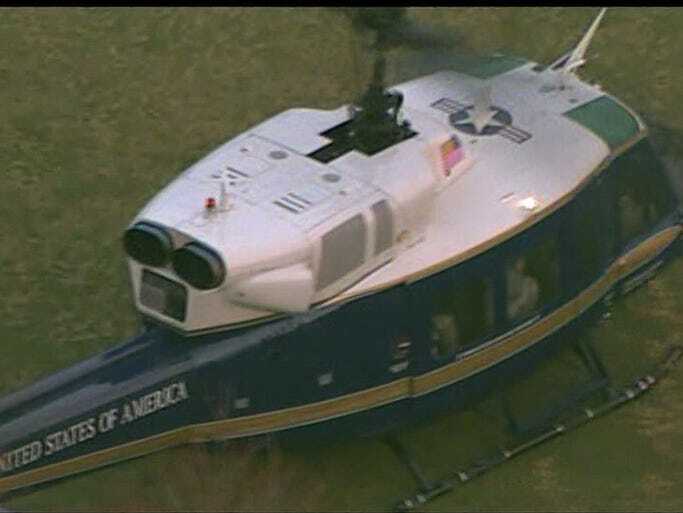 The Sky 9 helicopter was used to locate the government helicopter at the request of Potomac approach. The helicopter, flying under the call sign "Muscle" was located at Burke Lake Golf Course. We are told that the helicopter landed safely. Chief of Public Affairs at Andrews Air Force Base Eric Sharman says the helicopter took off from Andrews Air Force Base around 6:30 a.m. and made a precautionary landing due to a check engine light. We're told the transmission chip light indicated a small fragment of metal in the transmission, prompting the landing just before 7 a.m. There were eight people on board, including the flight crew. Wally Roberts, who works at the golf course, says the people on board were mostly colonels who were on their way to a training facility in West Virginia. Another helicopter arrived to continue the transport. We do not know at this point whether any congressmen were on board the aircraft. The aircraft landed at Sunnyside Home farm in Milltimber at around 12pm on Monday 7th April. A full alert was sounded at Aberdeen International Airport, where the aircraft had been expected to land. Kevin Park, who owns Sunnyside Home Farm, said: “I saw an Apache circling my house and then it set down in a nearby field. 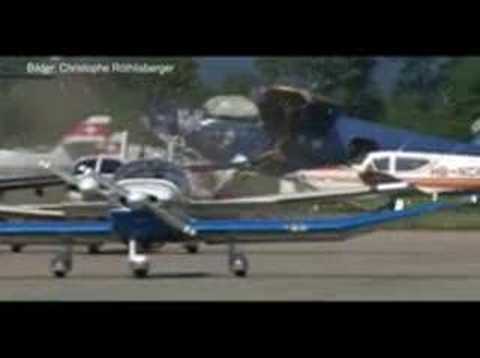 “I went to speak to the pilot, who said he had to make a landing after engine failure because they were losing height. Operation Joint Warrior was under way across the north east on Monday. A Police Scotland spokeswoman said "We have been made aware of the helicopter landing near Milltimber." 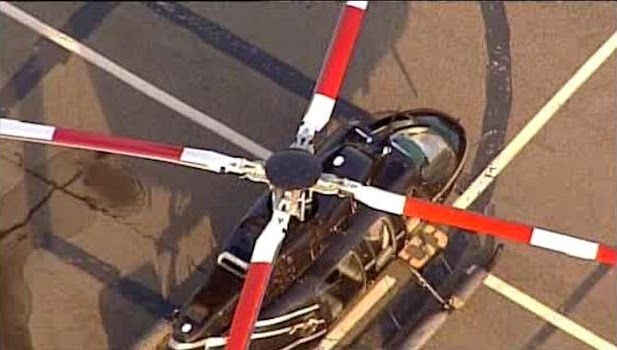 According to KATC.com, there were no major injuries Friday when a helicopter fell off a platform in the Gulf of Mexico. The helicopter, owned by Westwind Helicopters, Inc., landed on the platform but fell off and hit the water. Westwind Helicopters President Bob McCoy said the helicopters emergency flotation device activated, which allowed the aircraft to land safely. The six people in the helicopter evacuated after deploying a life raft. 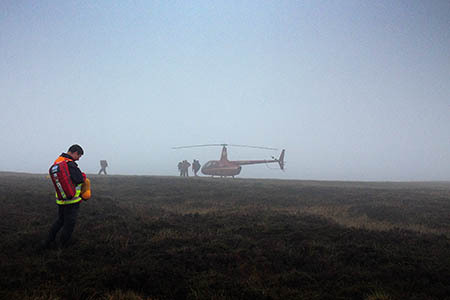 Three occupants of a helicopter had to be rescued from the Peak District moors after they made an unexpected touchdown on their way to a rugby match. Two mountain rescue teams went to the aid of the pilot and his two passengers when they made an unscheduled landing yesterday on the hills above the Woodhead Pass. Woodhead Mountain Rescue Team was called out at 3.30pm and enlisted help from neighbouring Glossop MRT. A Woodhead MRT spokesperson said: “The three businessmen travelling to Huddersfield to watch the rugby league match between Huddersfield Giants and Widnes had to be rescued by the mountain rescue teams as their helicopter had to make an emergency landing on the remote moors of the northern Peak District, high above the Woodhead Pass. “The pilot of the helicopter, a Robinson R66, was forced to make the emergency landing when the visibility became so unexpectedly poor it was no longer safe to continue. “Given the exact location of the downed helicopter was unknown combined with the poor weather conditions it was soon decided to call for assistance from Glossop MRT. “On arrival at the rendezvous point rescuers were able to make contact with the pilot of the helicopter via mobile phone and gained further information regarding their potential location. “Rescuers then utilised a smartphone app specifically for mountain rescue teams, Sarloc to pinpoint their exact location. The Sarloc app utilises mobile phone technology to ping exact location data between two smartphones back to the initiator. “Once the exact location was known, rescuers were at the helicopter’s location in 40 minutes. “Thankfully the pilot and his two passengers were found safe and well, albeit cold. The rescuers provided warm dry clothing for the men and walked them off the hill to safety. 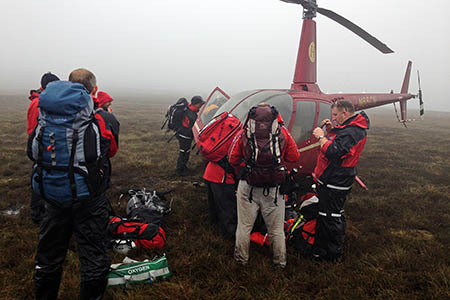 Woodhead MRT team leader Keith Wakeley said: “It was an unusual callout for us. Thankfully we don’t get called out to downed aircraft very often. The poor visibility was a real issue today but thankfully we were able to use our own technology to locate the helicopter quickly. After having recovering at Woodhead MRT’s base the three men were taken to their hotel by team members where they dried off and prepared for the big match. The rescue involved 24 volunteers from both Woodhead and Glossop Mountain Rescue Teams. A HELICOPTER was forced to divert to Stansted Airport this morning (Monday, June 2) after the pilot reported a problem on board. Emergency services, including firefighters from Bishop's Stortford, were called to the airport shortly before 9am as a precaution. An airport spokesman said: "The Sikorsky S-76 landed safely without incident but as part of the airport’s standard safety procedures the emergency services were automatically alerted as a precaution." Reports have emerged of an emergency landing which occurred at Dunsfold Aerodrome on Thursday 12th June involving a helicopter. No details about the nature of the emergency, the aircraft type or operator are presently available. 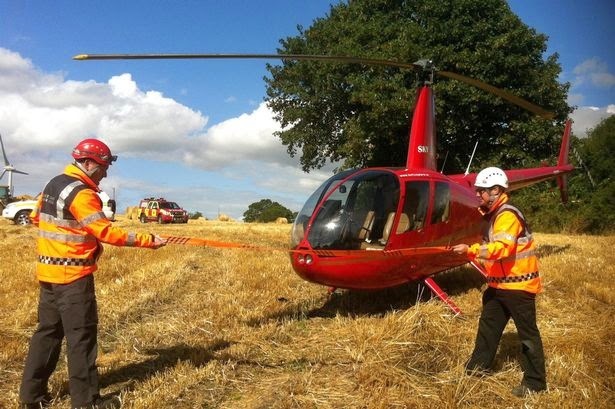 A spokesman from Dunsfold Aerodrome said: "At 5.40pm on Thursday 12th June an incident involving a helicopter and its pilot occurred at Dunsfold Aerodrome, Cranleigh, Surrey. "Emergency procedures were immediately implemented. The pilot sustained minor injuries and was given immediate first aid by the fully trained medical staff who attended the incident within minutes." A 51 year old woman was injured today when the Hughes/Schweizer 300 she was flying suffered a hard landing. Details of the flight are as yet unknown but it is thought that the pilot was performing a solo training flight. 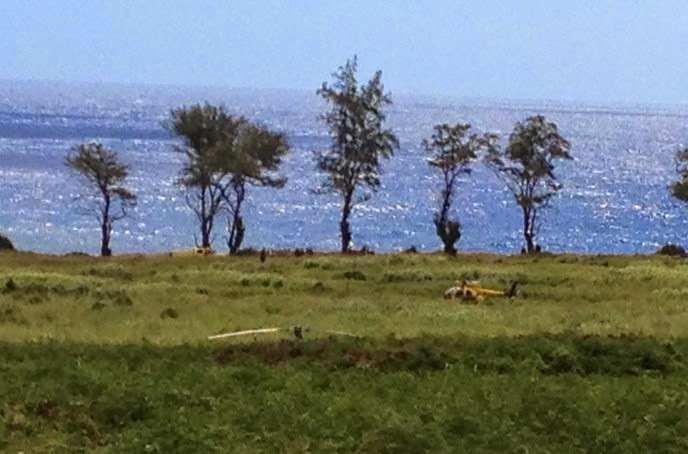 A helicopter has made a hard landing in Waihee, Hawaii after suffering a mechanical problem on Tuesday morning, according to officials with the Maui County Fire Department. A family of six was on board at the time of the crash, but all refused medical attention. The father, mother and four teenage daughters are visiting from Bellevue, Illinois. The pilot was also uninjured. The FAA is investigating. 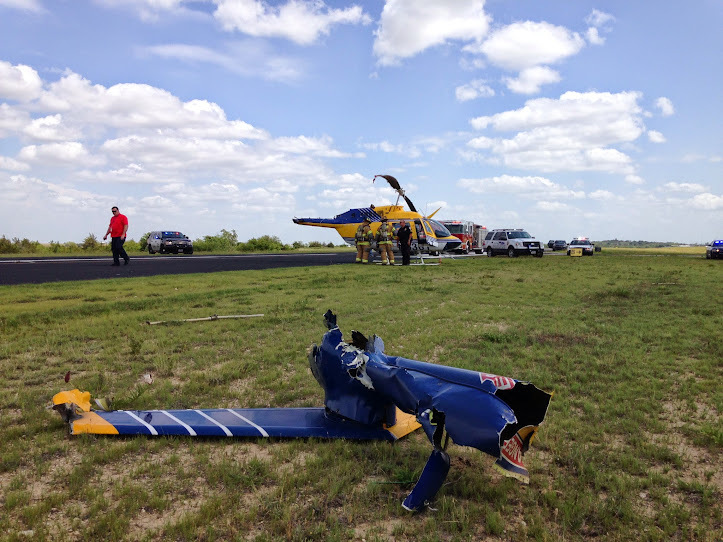 Two people have been injured in a hard landing incident involving a Bell 206 helicopter at Decatur Municipal Airport in Wise County Texas at around 3:20pm Tuesday. Both the pilot and passenger were taken to Wise Regional Health System in Decatur following the incident. Decatur Police Chief Rex Hoskins said the pilot, Eric Carroll, 57, and another occupant, Russell Timmerman, 47, of Liberty, Mo., were injured and taken by ground ambulance to WRHS. Wise County EMS, the Decatur Fire Department, Decatur Police Department and Texas Department of Public Safety officers responded. 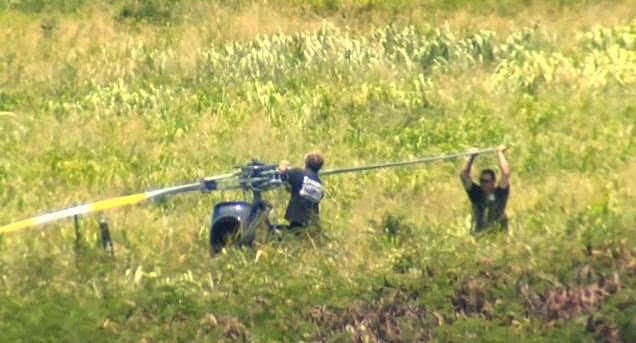 The helicopter could be seen upright on its landing skids at the side of a runway with damage to the tail boom, tail rotor and main rotor blade. A Robinson R44 (registration EI-DDA) belonging to Ireland's SkyWest Aviation of Cork, the Republic of Ireland, made an emergency landing yesterday in a field in Ringaskiddy (on the western side of Cork Harbour, 15 kilometres from Cork city) during a training flight when SkyWest Chief Flying Instructor John Toal reportedly encountered aggressive vibration. 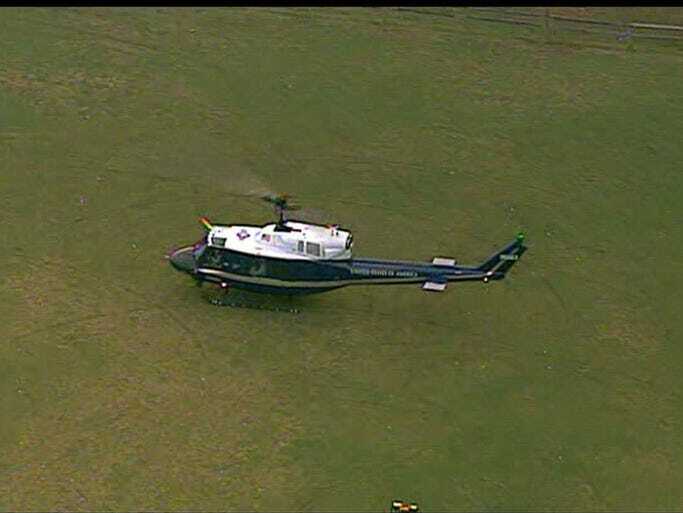 The helicopter landed in the field without incident. The landing follows another occurrence in which John Toal was involved when in 2009 he made a forced landing at Mahon Golf Course near Cloverhill. The Coos County sheriff's office says a man was hit in the head by a helicopter's rotor blade in an accident at an airport in the southern Oregon community of Lakeside. Staff Sgt. Pat Downing said Tuesday that the man was injured Monday and taken to a nearby hospital, then flown to Oregon Health & Science University hospital in Portland. The man was not identified. Downing says a helicopter owned by PJ Helicopters of Red Bluff, California, had landed at the Lakeside Airport and powered down to refuel. 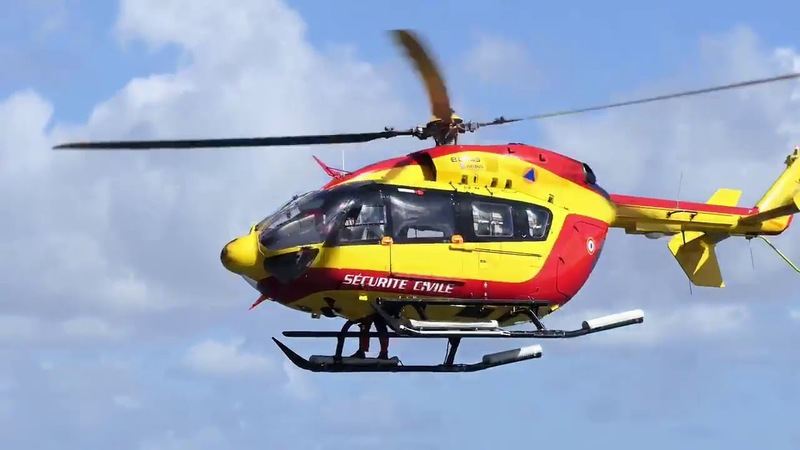 As it was refueling, a rotor blade struck a company employee in the head. The company's answering service said Tuesday evening that no one was immediately available to comment on the man's condition. 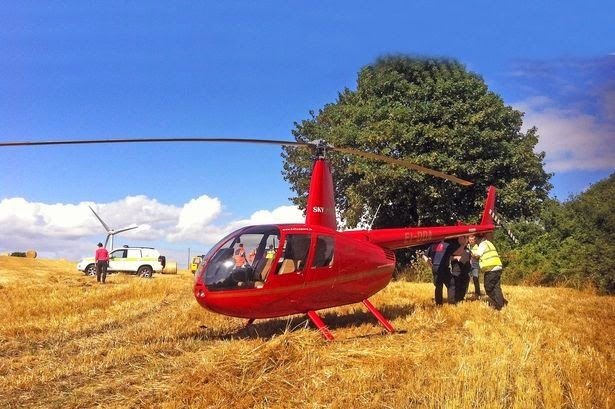 Helicopter owners and operators PLEASE ensure those walking beneath turning rotors are FULLY briefed on the hazards of both main and tail rotors, the risk of swooping blades, of sloping ground and of allowing anything to get too close to any moving part of the helicopter. This risk needs to be especially addressed among those constantly working around helicopters - through regular refresher training and pro-active safety awareness efforts. 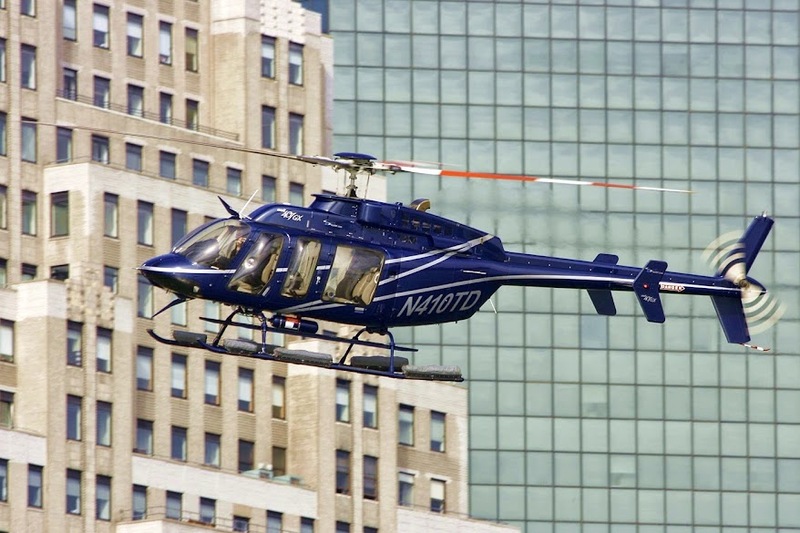 A tour helicopter made an emergency landing at the West 30th Street Heliport after a bird apparently struck the windshield. The Bell B407 helicopter, owned by Helicopter Flight Services, landed without incident at around 2:45 pm Friday October 3rd. In one flash, a picture perfect day for a helicopter ride over Manhattan turned into a terrifying ordeal when a bird strike the passenger front window of this chopper. The window shattered on impact. "It was pretty much like an explosion going off in your cockpit, a little bit of a pandemonium kind of thing, you know, you have to gather yourself and we headed over to 30th Street," said helicopter pilot Tim McCormack. McCormick put all his training and 20 years of experience to work. He says he never lost control of his craft. Despite missing his front window, despite not being able to hear anything, he calmly and safely landed his bird at the 30th St. Heliport. McCormick's call to Air Traffic Control was recorded in which he said: "LGA Tower this is 9 Tango Delta. We've just encountered a bird strike and will be going for 3-0. If you can hear me we are declaring an emergency. I am unable to hear you due to a blown out window, but we are heading for a spot to land". McCormick was flying a Bell 407 Friday afternoon with six female tourists on board. They had viewed downtown, Coney Island, and we're heading back from Yankee Stadium when the bird hit. It was perhaps a seagull. The pilot tells Eyewitness News that the women started screaming and crying. He had no choice, he had to stay calm and find in emergency place to land. "They were happy when we got on the ground, everybody was happy, and then it turned into, OK everybody is safe," McCormick said. Amazingly, the woman in the front passenger seat was not injured even though the window shattered all around her. She suffered just a minor scratch. Most importantly all are safe. The women will have quite a New York story to tells when they go home. 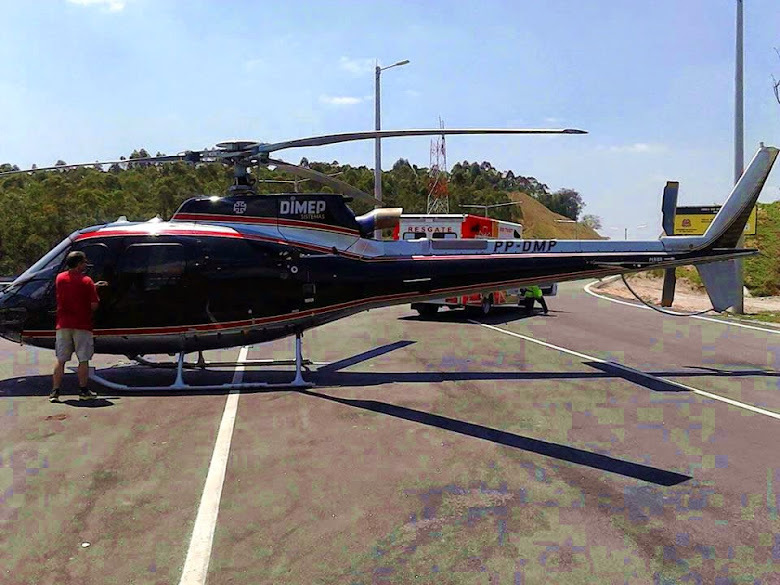 A Brazilian AS350 'Esquilo' PP-DMP was recently struck by a vulture on the outskirts of Sao Paulo. 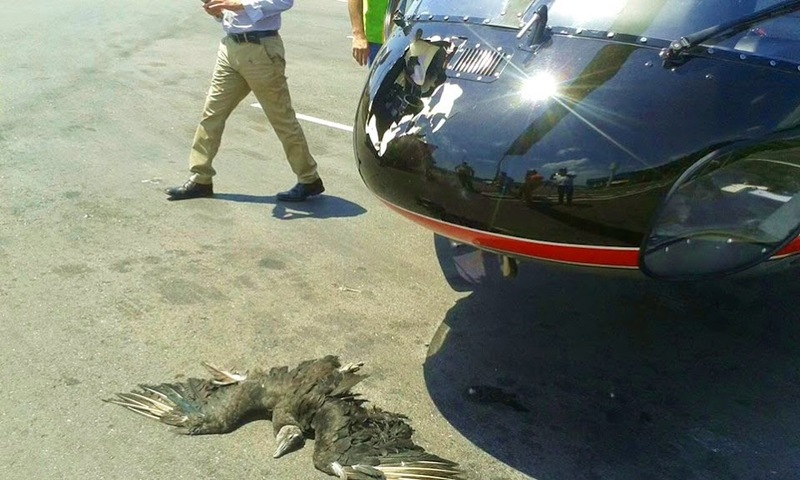 The aircraft made an emergency landing on the nearest road where the pilot inspected the damage and discovered that the bird had managed to break through the aircraft's nose. Temporary repairs were made to the aircraft by a local ambulance crew allowing the helicopter to return to its base. A US Customs and Border Protection (CBP) helicopter has made an emergency landing near Bisbee, Arizona, according to the US Border Patrol. The pilot walked away from the aircraft, according to the CBP, but was taken to a hospital to be checked out. The pilot was the only one onboard at the time. 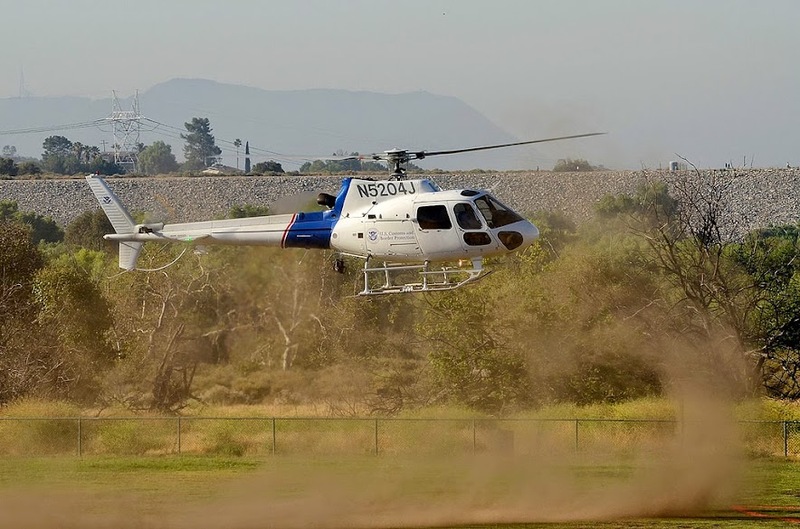 "While on patrol around approximately 4 pm local time, a US Customs and Border Protection AS350 AStar helicopter from the Tucson Air Branch made an emergency landing near the Gravel Pit area south of the Remax Foothills east of Bisbee. Although able to walk to a responding vehicle, the pilot was transported to a medical facility for evaluation. There are no other injuries or fatalities reported. The National Transportation Safety Board and CBP are investigating the cause of the emergency landing." CBP's Office of Air and Marine also use Blackhawk helicopters for various Border Patrol operations, such as rescuing immigrants who are lost in the desert. They also are used to arrest suspected smugglers who are in remote areas. 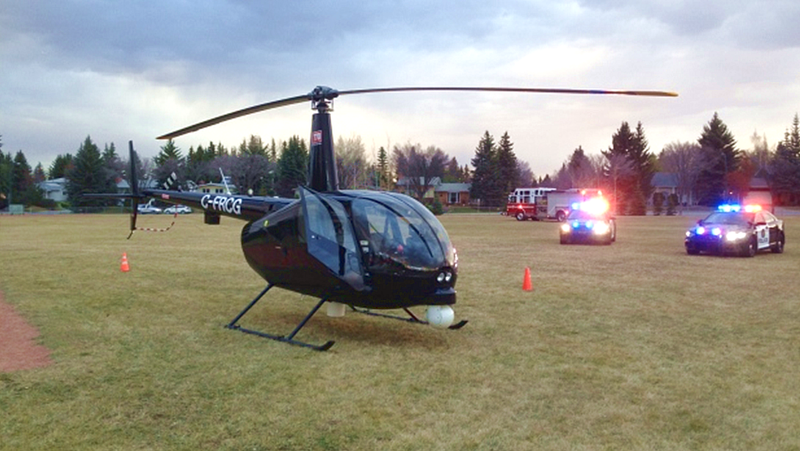 It was a scary evening for the crew of a Calgary media helicopter after an engine failure forced it to make an emergency landing in a southwest elementary school. The helicopter, used by Global Television and radio station NewsTalk 770, lost its engine over western Calgary just after 5 pm Friday, said acting battalion chief Bruce Gelhorn of the Calgary Fire Department. Originally reported by Nav Canada to have gone down west of Glenmore Reservoir, emergency crews were able to locate the chopper, which managed to make a controlled landing in a field at Nellie McClung Elementary School at 2315 Palliser Dr. S.W. The two occupants of the helicopter were uninjured. All times are GMT0. This page was generated at 09:40.